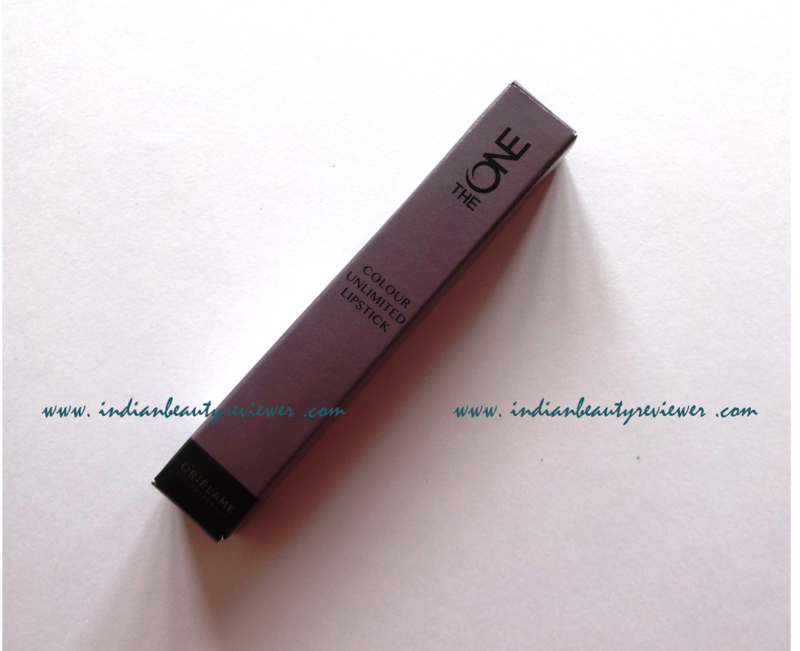 Oriflame The ONE Colour Unlimited Lipsticks come in 8 shades in India. These are Absolute Blush, Pink Unlimited, Fuchsia Excess, Always Cranberry, Mocha Intensity, Forever Plum, Violet Extreme and Endless Red. Click on the shade name to read its review. 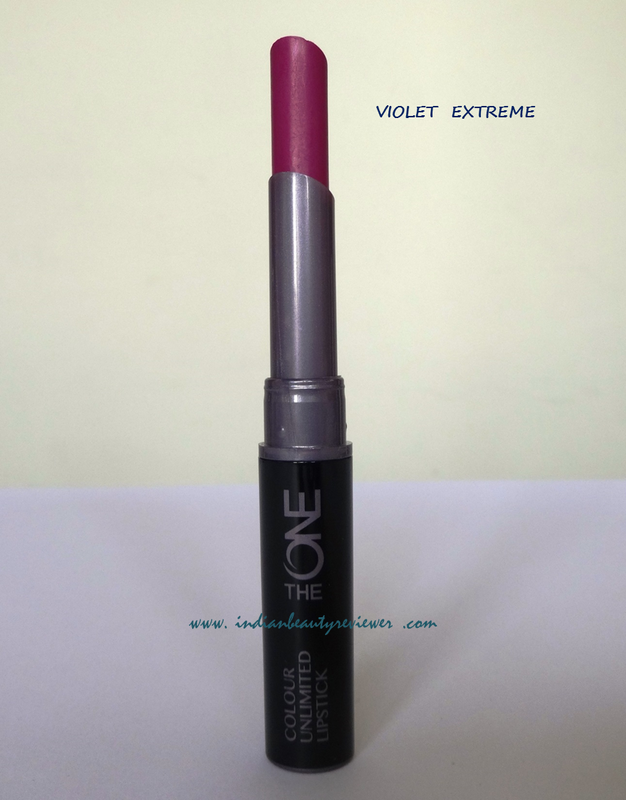 This post will consist of a Review of the Oriflame The One Colour Unlimited Lipstick in VIOLET EXTREME. 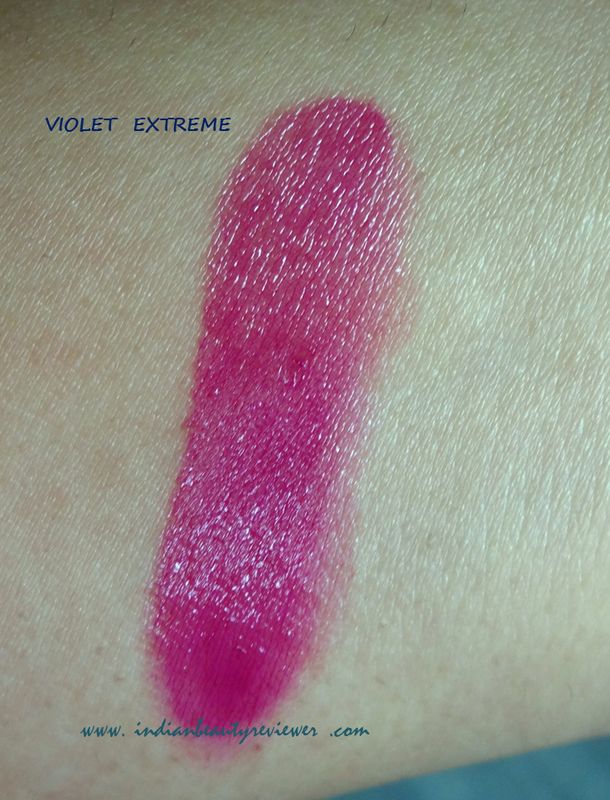 Oriflame The One Colour Unlimited Lipstick VIOLET EXTREME: A bold pinkish-purple color with a glossy look. 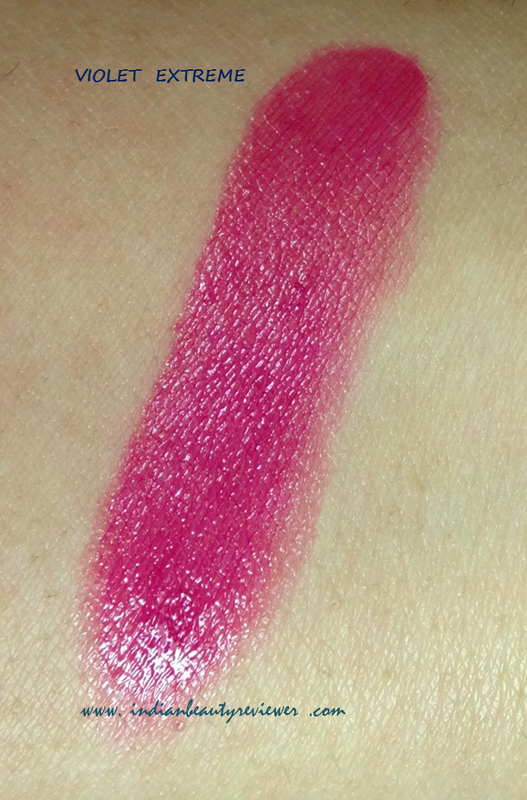 The pink element in this shade is very prominent, more so than the violet element. 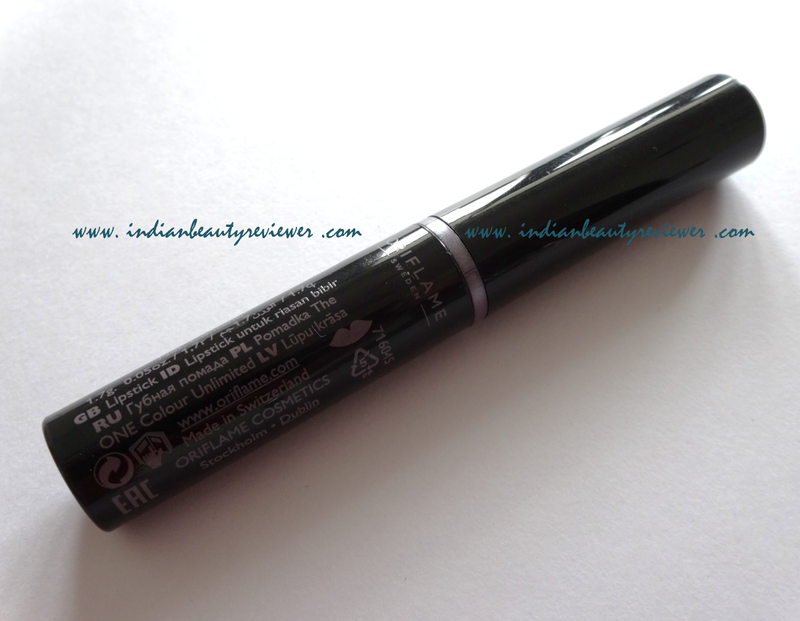 Looks really dark in the bullet but is quite sheer on application. To get the real shade you would need to build it up. A very festive and glam shade and I would love to sport it at nite-outs ! 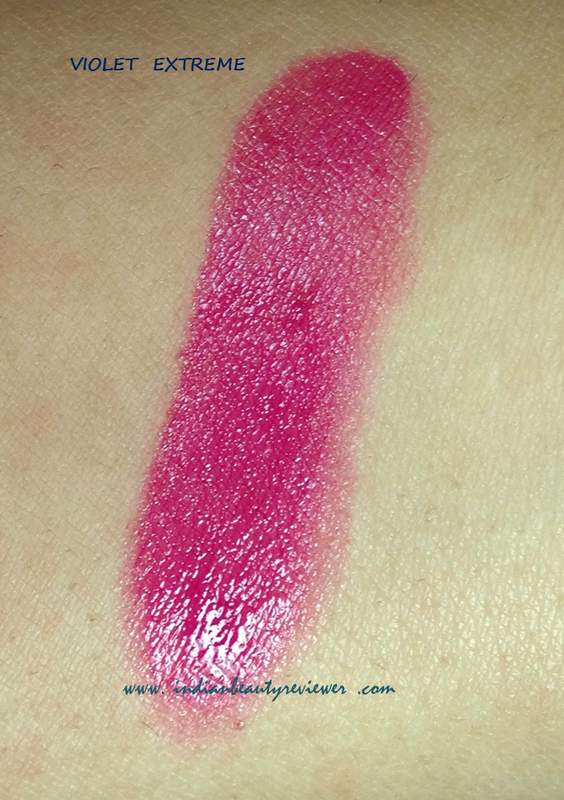 Also, the swatches below do not have a base underneath them so that the true color is visible in the pics. I liked the shade. It would have been better if you could provide few more pics on how it looks on face. Beautifully reviewed. 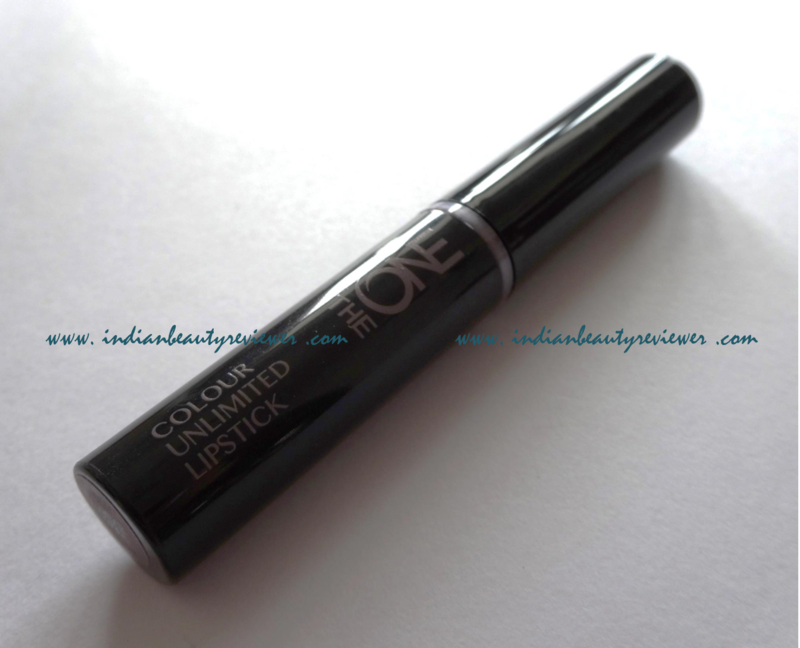 I've already got a few from Oriflame's The One Color Unlimited range so would not buy it this time but definitely consider this one in my next purchase.